We are pleased to announce that on Friday 26 October 2018, PhD researcher Qian Huang will be defending her PhD dissertation on "Assessing environmental effects of the bay scallop Argopecten irradians culture in China: Using abiotic and biotic indicators". This was a joint research project between Ghent University and the University of Klaipeda, in the framework of the MARES Joint Doctoral Programme on Marine Ecosystem Health & Conservation. This PhD is promoted by prof. dr. Marleen De Troch (UGent) and co-promoted by prof. dr. Sergej Olenin (University of Klaipeda). Below you can find a short abstract of the research. The defence starts at 11:00 and takes place at Lecture Room 041, S8, Campus Sterre. Marine aquaculture, or mariculture, is one of the fastest growing food-producing sectors. This strong expansion of mariculture industry has brought significant environmental impacts to coastal ecosystem, such as benthic organic enrichment. Culturing non-indigenous species (NIS) is an important sector of mariculture industry but also includes ecological risks. This thesis assess the impact of the mariculture on the recipient ecosystems in the context of using NIS as cultured species. 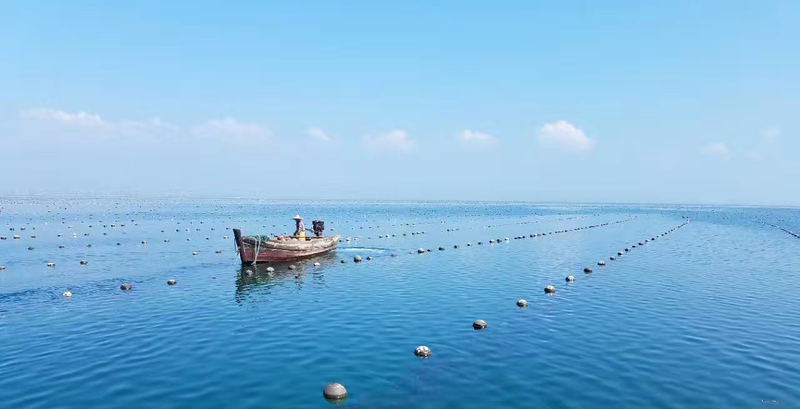 As China plays an important role in the world mariculture production, we selected two typical mariculture cases in the Bohai Sea, China, i.e. open-water suspension farming of Argopecten irradians (non-indigenous) as well as coastal shrimp farming of Litopenaeus vannamei (non-indigenous) and Marsupenaeus japonicus (native). We analyze the potential effects on the sediments and benthic community, discuss the feasibility to apply indicators for the impact assessment and also to unravel the implications of the use of NIS in mariculture.